Mediation can save legal fees and shorten a legal dispute. That saves the parties involved money, costs, and lots of emotional stress. It is an excellent tool to attempt to settle a dispute even if it is not mandatory. It is however mandatory in most estate disputes in Toronto. The mediation process needs to be clear to the parties involved to ensure effective participation in the process. Many people have never been involved in estate litigation. The parties are encouraged to settle the matter throughout the litigation process in order to reduce legal costs. At some point in time, a mediation will have to be scheduled. The parties will agree on a date and on a mediator to be booked. The mediator is a third party that is neutral to the dispute. The mediator will attend in order to facilitate dialogue and possible settlement. The mediator may be a lawyer with experience in estate law, a professional mediator, or a retired Judge. When the date is set and a mediator is chosen, the parties will exchange document briefs. The parties will set out facts and issues in dispute in order to be prepared for the process. The mediator will also get copies of the mediation briefs. Prior to the commencement of the mediation, the mediator will set out the rules of conduct. He or she will advise the parties as to the confidential nature of the mediation and that they must negotiate in good faith. It is important to foster productive discussion so that time is not wasted. During the mediation, the parties are encouraged to discuss the issues openly. The discussions that take place during the mediation remain confidential. They cannot be brought up at a later date during the litigation process if no settlement is reached or during subsequent Court appearances and steps such as a trial. For a mediation to be successful, the parties involved must be willing to compromise. The mediation is not a mini-trial on the merits of the case. The mediator is not at the mediation to provide an opinion on the legal positions of the parties. The lawyers must work to ensure the parties at the mediation have reasonable expectations about the process. The parties involved will likely have to make some concessions. Making concessions at the mediation stage may be more practical and cost-effective than proceeding to trial. A trial involves significant risks and costs for all the parties involved. Furthermore, it can result in a total loss on all issues for one side. Finally, in addition to the significant financial costs associated with a trial, the parties involved in preparing for and attending a trial will likely experience the significant emotional toll associated with protracted estate litigation. A Court decisions on the issues is published to the public. In rendering a decisions, Judges normally provide a detailed chronology of all the facts involved in the case. This may expose embarrassing information about the parties involved. Mediation allows the parties of the dispute to settle the matter and keep the embarrassing internal affairs private through the signing of a confidentiality agreement among the parties of the dispute. Hiring an experienced estate litigation lawyer can be very helpful in obtaining the results you are entitled to. Charles Ticker is an experienced estate lawyer and a qualified mediator. He brings a unique combination of experience and knowledge to any estate dispute. 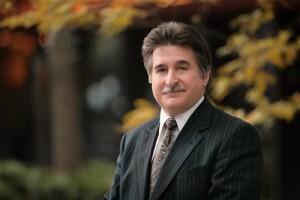 He can assist you with your estate dispute with his knowledge and experience in estate law. For more on Ontario’s mandatory mediation process click here. It is also important to note that even if your case has advanced beyond the mediation stage and is close to trial, the skills of an estate lawyer who understands the mediation process can be invaluable. There are many instances when parties advance beyond mediation and attempt to resolve the matter close to or immediately before a trial is set to begin. This may often take place as parties attempt to resolve the dispute under the pressure of an imminent trial. The costs of a trial become clearer as the trial nears and the parties may become less rigid in their positions in order to resolve and save costs. It is very important to ensure that your rights are protected if your are attempting to settle your matter out of Court in close proximity to a trial.